Home > Calvinism	> Studying the Torah to Move Beyond my Calvinist Divide? 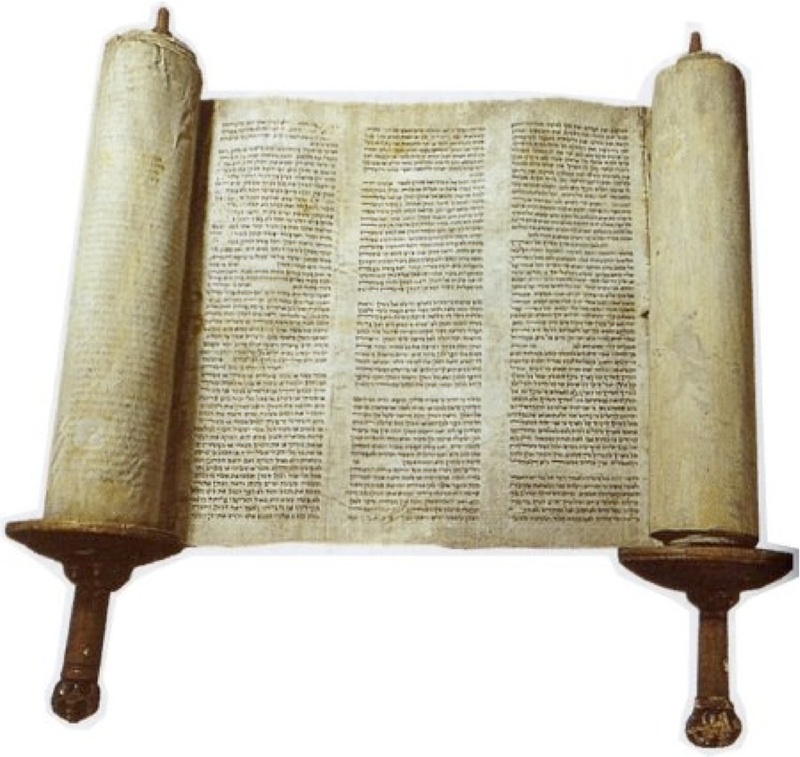 Studying the Torah to Move Beyond my Calvinist Divide? Nevertheless, perhaps there is something to be said at looking at the root of Christianity – which I do believe is founded in the Old Testament. Of course, I look at the Old Testament as “Latin” – and why do I need that when I’m fluent in English – and even have Webster’s Ninth New Collegiate Dictionary when I come across a word I don’t know? In any event, I’m intrigued by the gentleness and confidence of my friend and think that just maybe there is indeed something to the study of The Torah for a Christian. So, we’ll see. Below is an email I sent to the reference I was given. I’m one who’s struggled for years trying to understand the nature and character of God and how he relates to us as his creation. The center of my struggle, at least so far as I can determine, is what I call the Calvinist divide. It wasn’t all that long ago that I ran headlong into Calvinist doctrine through my son-in-law. Shortly thereafter I lost all sense of an assurance of salvation. Suffice it to say that I believe Christ paid for my sin on the cross. However, I couldn’t determine whether or not I was one of the “elect” or whether I had come to this understanding of my own accord. And, this Calvinist divide not only affects my assurance of salvation, it also affects who I perceive God to be and how he interacts with his creation. Honestly, what am I to believe when opposing perspectives are (at least to me) convincingly presented – using the same scripture references? To me, it shouldn’t be difficult for people of average intelligence through their own study of scripture to come to the same conclusions regarding matters of faith. We all work from the same text, don’t we? Or, so I think we all work from the same text. How is it if people with a PhD in theology (i.e. John Piper and Greg Boyd) can’t agree on matters of faith, how am I ever to know what is the truth – unless, of course, I simply “choose” what tenants or facets of faith I want to agree with and leave it at that? In any event, I have never spent any time in the Old Testament, in part, because I don’t really think it applies to us. We’re no longer under the law. Instead, we live under grace. Or so I’ve been taught and so I believe. Gee, I guess I’m guilty of “choosing” what I will believe. That said, perhaps there is something to the study of scripture through the lens of the Torah and any thoughts you have or references you could provide would be appreciated. Decided I would return the favor and check in at your blog. With respect to the OT, it is a wealth of wisdom even where the issue of calvinism is concerned, at least as I see it. To me there is absolutely no picture of total depravity there… none… and as I have read, there is no concept of total depravity in Jewish thought. I find that especially interesting. To me the telling OT characteristic of God is summed up in the following statement, I want to be your God and I want you to be My people. God establishes a covenant with Abraham; His covenant is contengent on Abraham’s response and resultant obedience. Abraham had a choice to make and the ramifcations of his choice had everything to do with God’s response to him. IN fact, I believe the very evening Abraham went to bed with Sarah’s concubine Hagar, was the very night God was ready to give Abraham his son of promise; but because he went to bed with Hagar, ishmael was born instead of Issac and it took another 10 years for God to give Abraham the promised son. The beauty of the Scriptures can be seen in the consistency from Genesis to Revelation but it does take time and effort to connect the dots and see the beauty. One other thing… John 3:16 means exactly what it says… Jesus died for the sins of ANYONE who would believe in Him and His grace is available to all who would place THEIR faith in Him! Bob – Thanks for your response. Sometimes, it seems, as though the simplest of answers are right in front of us but because of ignorance or preconceived perceptions and beliefs we cant, as it were, see the forest through the trees. I had not before thought that the covenant God made with Abraham was contingent on Abraham’s response and therefore things could have “worked out” quite differently. Sounds like free-will is evidenced here and that choices were present for Abraham make and not so much the deterministic perspective I sense from Calvinists. I believe God gave us the choice to choose. We had no choice in the matter. Additionally, God not only gave us the choice to choose, He did not give us the choice to choose the consequences of our choices. He reserved that for Himself as well. God in His sovereignty chose to make us sovereign over our own choices so that He could make provisions for those who chose to choose Him! Just had glory bumps come over me! i wonder if some of this is still the lingering heresy of marcion. marcion taught that the OT “god” was mean and violent, while the NT God was loving. a hot mess. OTOH, i completely agree with the worth of the OT. Jesus repeated a lot from the OT – “love the LORD your God and…serve him with all your heart and with all your soul” is from Deut11…”love your neighbor as yourself” is Leviticus19:18. Jesus didn’t come to abolish the OT, remember (Matt5:17). 2tim3:16 includes the OT…it’s a valuable study. the OT believers weren’t saved by works, they were saved by grace through faith (Heb11). Blessed is he whose transgressions are forgiven, whose sins are covered. Moses the murderer wasn’t saved by works – the bible says he was a Christian, saved by faith. Gal3:29 If you belong to Christ, then you are Abraham’s seed, and heirs according to the promise. Eph2:12 remember that at that time you [as a non-hebrew] were separate from Christ, excluded from citizenship in Israel and foreigners to the covenants of the promise, without hope and without God in the world. 13 But now in Christ Jesus you who once were far away have been brought near through the blood of Christ…19 Consequently, you are no longer foreigners and aliens, but fellow citizens with God’s people and members of God’s household, 20 built on the foundation of the apostles and prophets, with Christ Jesus himself as the chief cornerstone.